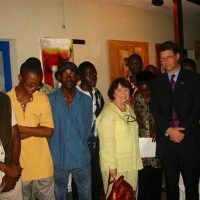 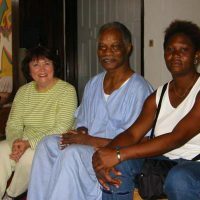 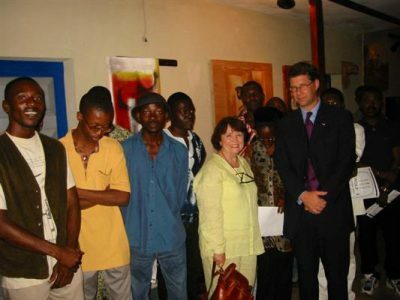 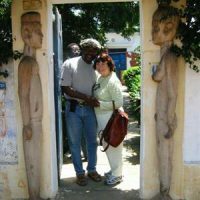 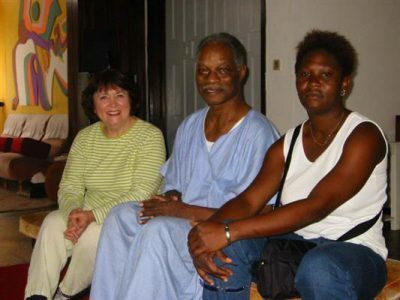 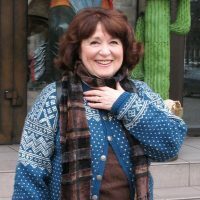 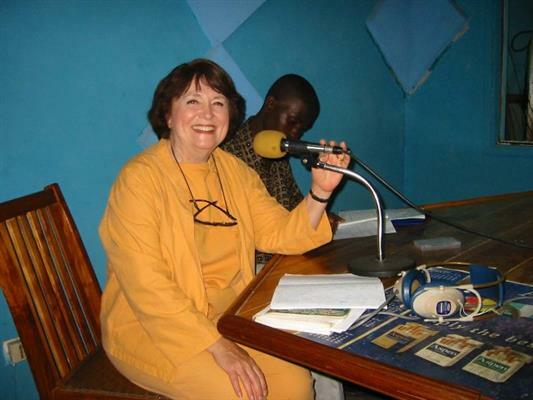 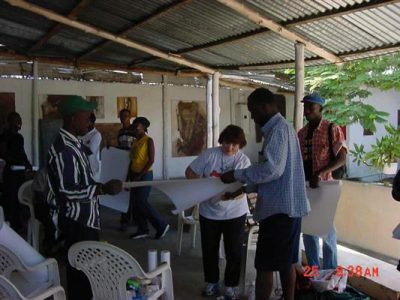 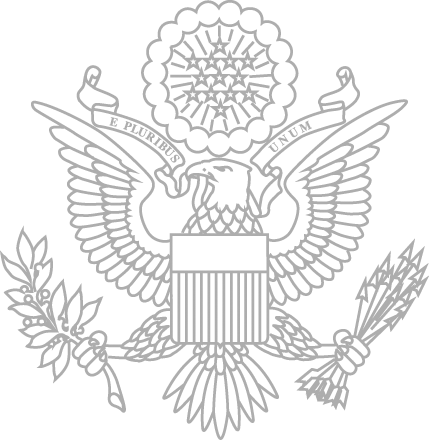 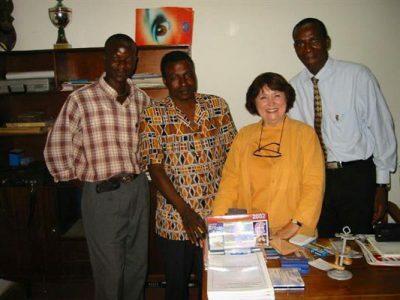 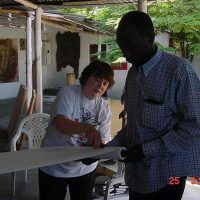 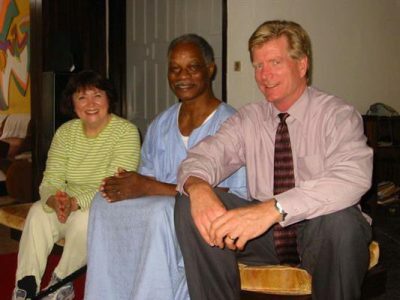 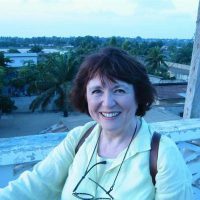 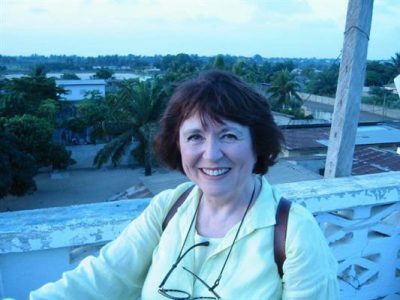 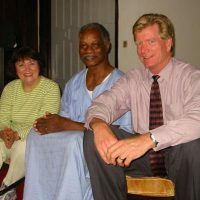 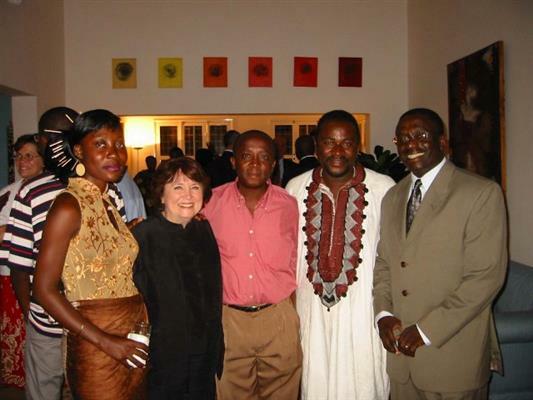 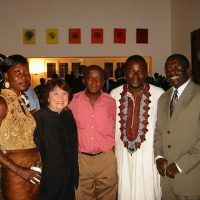 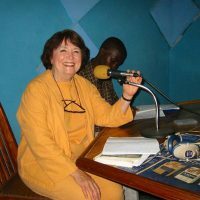 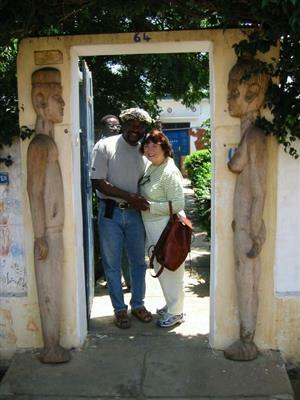 During her week-long visit to Lome, Togo from September 22 through 28, 2002, Karen Gunderson engaged the Togolese community in many diverse ways. 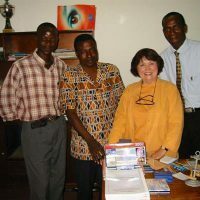 During her week-long visit to Lome, Togo from September 22 through 28, 2002, Karen Gunderson engaged the Togolese community in many diverse ways. 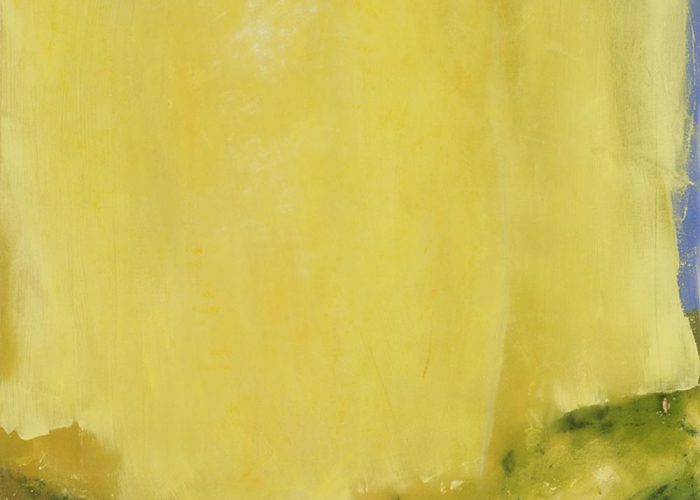 She hosted and participated in discussions with local artists, visited their studios,and held a workshop on painting techniques for them. 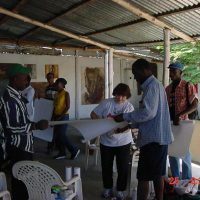 She spoke to communities comparing American classical and contemporary art and the role of women in professional society. Later in the week she lent her voice to an FM radio station for an in-depth interview. 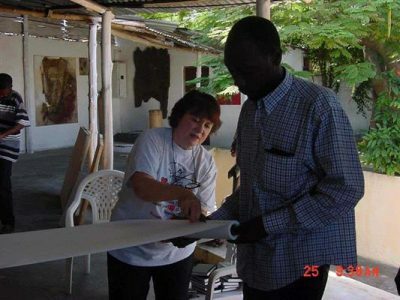 The workshops that she hosted gave Gunderson the opportunity to explain and demonstrate her ‘technique of contour’ in which she asserted a person can illustrate their inner feelings to the outside world through line drawings.